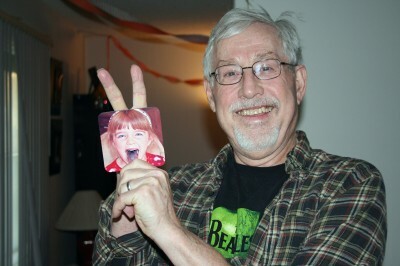 The other day Grampy was being silly and playing with some of the coasters that have Amara’s picture on them (love you Shutterfly!) I had fun taking his picture and of course I had to send a couple of them to Amara by email. Yes, those are birthday decorations you see in the background. They’re from Amara’s birthday party in April. I like them. And I am not taking them down! It wasn’t long after I sent them that I saw that she was logged on to messenger and I thought it would be fun to chat. Here is how the conversation went. Grampy was sitting in the office behind me so I relayed this message to him. She Poofed me and she didn’t even say it! This memory was posted in Grandparents and tagged Amara, chatting, Grampy on July 24, 2012 by Grandma Kc. Whoops! I think it was so cute! Well first of all, I think Grampy is the cutest thing ever! And then I see that Amaraland is really a real place – complete with souvenir coasters! What a happy place, even if you’re not in the mood to be “teased” right at the moment! Sweet little story! 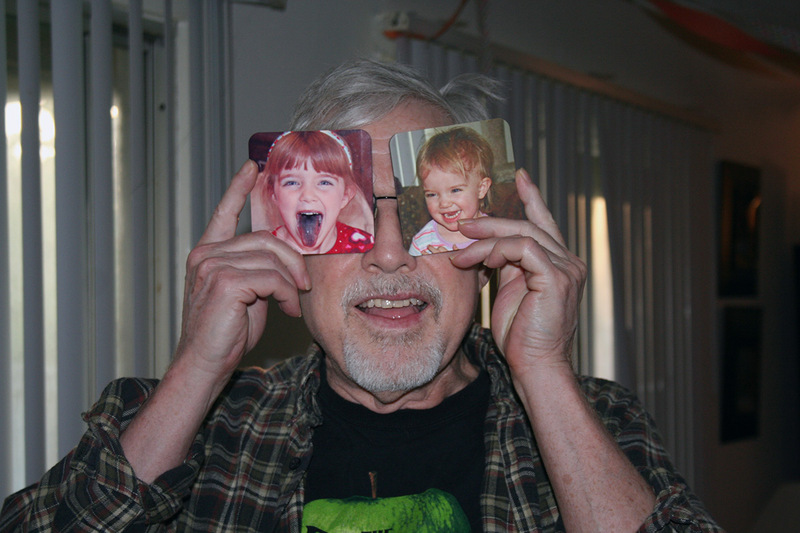 Laughing with the grandkids is the best. So silly! First, I love that you’re leaving the birthday decorations up. Why the heck not? Second, those two have a great relationship. I’m sure it’s endlessly amusing watching the back and forth. Third: I love the coasters! Love the coasters! I’ll have to visit Shutterfly. We just made Origami picture frames this morning, then dug through a bag of old photos to put in them and settled on a butterfly and an old picture of my son’s dog when he was little. He looks awfully festive with Amara glasses, I’ll say. I like how you’re putting so much “free” time into your photos you post. Love them… and the ideas behind them. I can just imagine Amara with hands on her hips and being quite indignant about Grampy sort of teasing her… but then being unable to chuckle about it herself. So cute! The coasters are darling! She will have to tell him about it next time she sees him. I bet he teases her in person too! 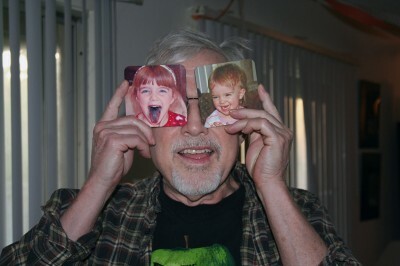 My very favorite pictures, and moments, are the ones that involve our grandchildren and their Grandpa!